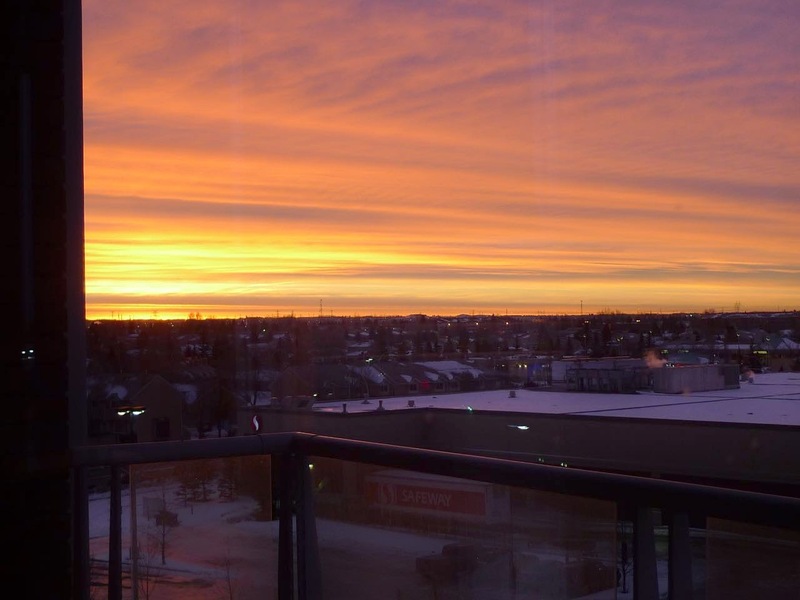 Edmonton is the northern most big city in North America. Due to it’s northern position, the nights are very long in the winter (correspondingly it get very long days in the summer). 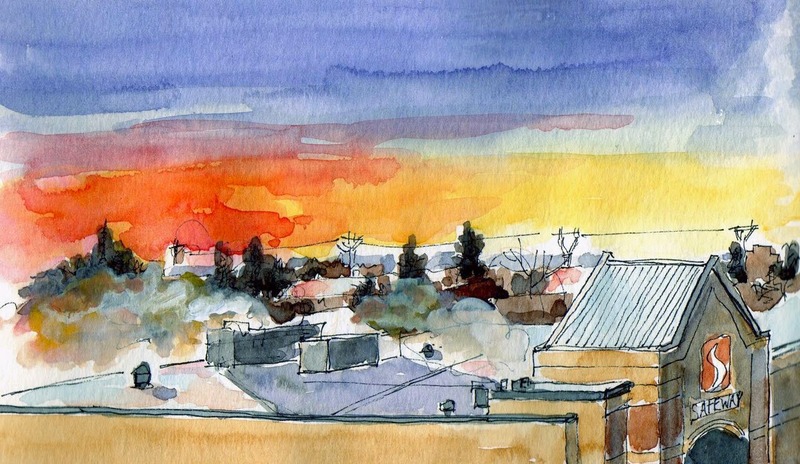 This past December there were many spectacular sunrises and I captured one of them in a sketch. The sun didn’t rise till around 8.45am…and set at 4.15pm! In the winter months you get used to leaving for work in total darkness and arriving home in total darkness.